Summer is almost here. Hooray! After this past winter, the summer heat is almost welcome. 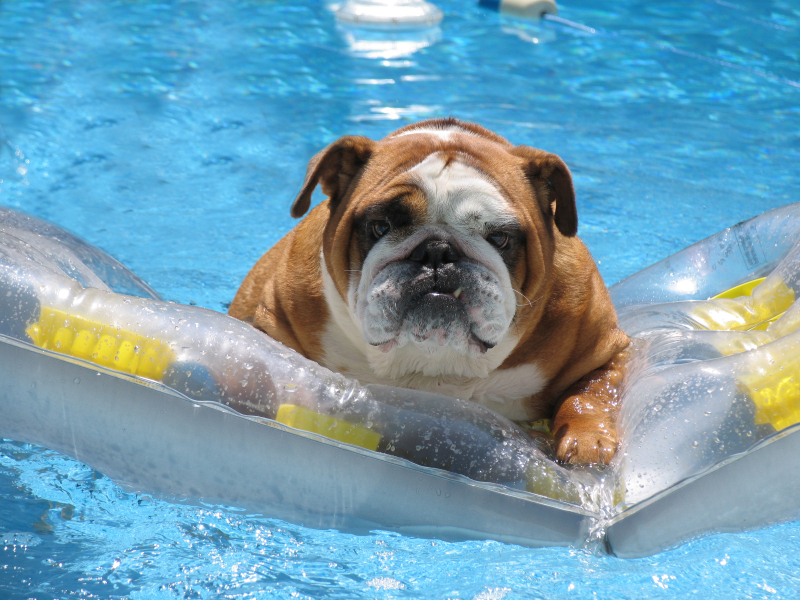 Here are some tips to keep your pets happy and healthy during the summer. Never ever leave your dog in a closed vehicle on a hot day. The temperature inside a car can rise to over 100 degrees in a matter of minutes. Even if the windows are open. Always provide plenty of cool, fresh water. On those extremely hot days it is best to take walks in the early mornings or evenings, when the sun’s heat is less intense. Try to avoid prolonged exposure to hot asphalt or sand, which can burn your dog’s paws. When your dog is outside in the yard on a hot day, make sure he has a shady spot to rest in as well as plenty of water. Strenuous exercise during extreme heat should be limited or postponed until the weather cools off a bit. If you have a dog that is brachycephalic (short-faced), such as Bulldogs, Boxers, Pugs to name a few, they may have an especially hard time in the heat. These dogs are not able to pant as well to dissipate heat like larger dogs. Keep your brachycephalic dog inside with air-conditioning. Limit time outdoors to the early morning or late afternoons. Here are some early warning signs of heat stroke. If you pet does become overheated immediately move him to a cooler area. The Humane Society suggests the following steps should be implemented to cool your pet down.